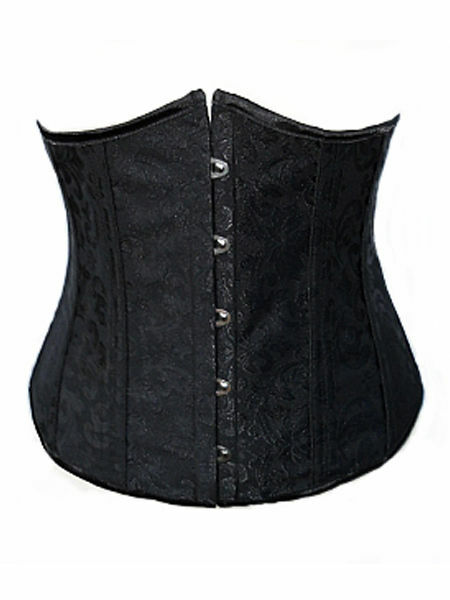 A sturdy underbust corset made from black lined damask fabric with a total of 14 bones throughout, 6 at the front, 6 at the back and one on each side seam. The front busk fastening has flat steel bones either side and the back of the corset has metal eyelet and black ribbon adjustable lacing. This is a very versatile item for the gothic wardrobe and can be used with a variety of outfits for a different effect every time. 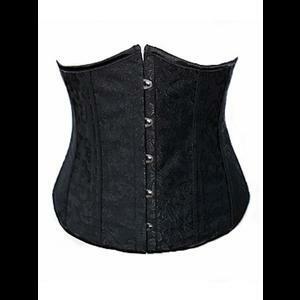 Underbust: 36" Waist: 36" Length from underarm to side hem: 9.5"
Underbust: 38" Waist: 38" Length from underarm to side hem: 9.5"
Love this underbust corset. Well made, beautiful fit and beautiful fabric.